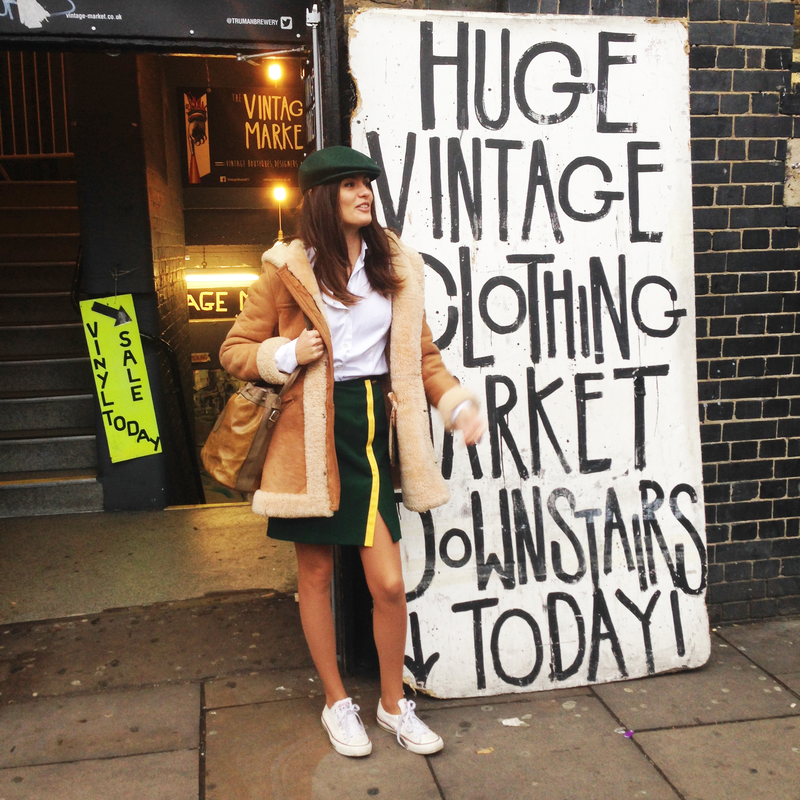 Shearling coat – Vintage, I also love this one from ACNE Studios; Skirt – vintage from Rokit; Shirt – Oscar Milo; Hat – H&M; Shoes – Converse; Bag – Yves Saint Laurent vintage. 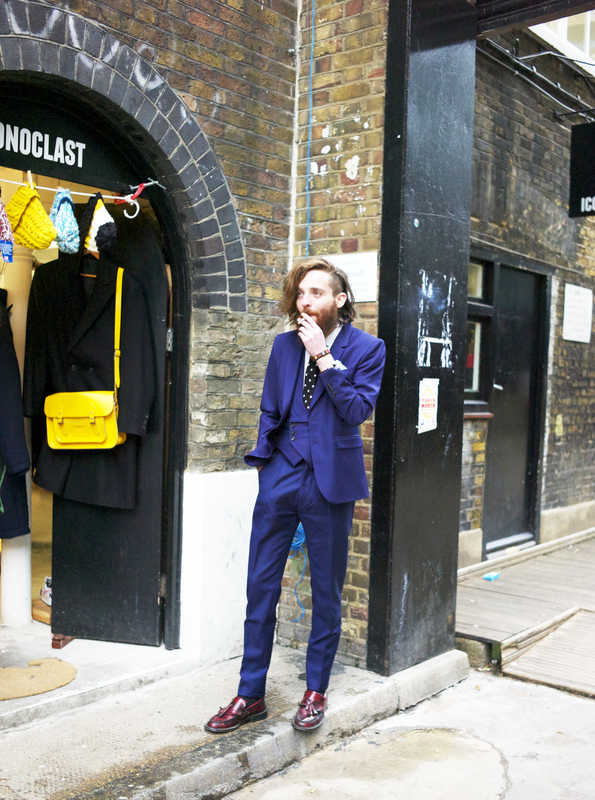 One of the best things about London is that here you can wear whatever you want and nobody will bat an eye. In fact, the general rule seems to be the weirder, the cooler. I was speaking to an Italian friend recently, and they said that the reason they’re obsessed with London is that contrary to living in a small town, where you feel like everything you wear and do is scrutinised, in London you can truly be yourself – and if this means wearing a neon-colour onesie leotard and a handlebar moustache, even then you can do it relatively unnoticed. More importantly, you can do it and be not just accepted, but encouraged. Nowhere is this truer than for East London. Here you walk past eclectic hipster cafes, breweries and street food stalls, and everybody looks absurdly cool. 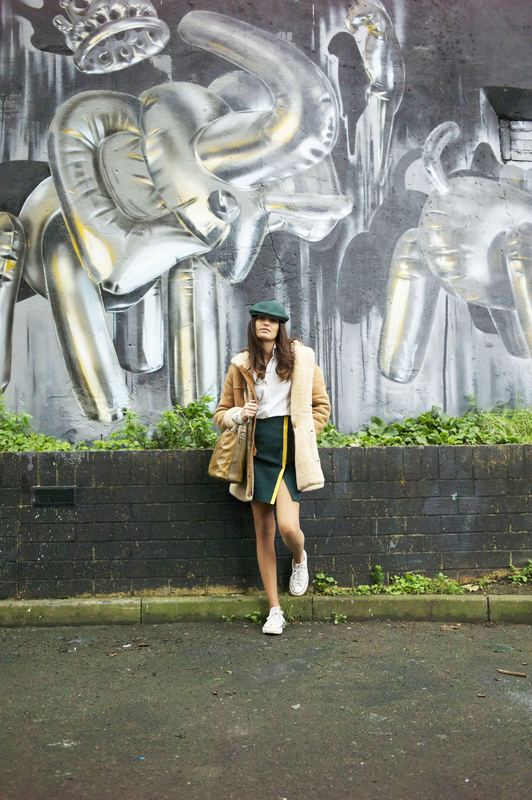 Much like the street art on the walls, people wear clashing colours, prints and cuts that are a mix of vintage, thrift-shop, designer and high-street and somehow it all seems to work. When I go to Brick Lane I usually get off at Liverpool Street Tube and wander up Frying Pan alley toward Spitalfields. The cobblestone alleys have some cute boutiques and cafes and I’m guessing are the vestiges of what East London probably once looked like. 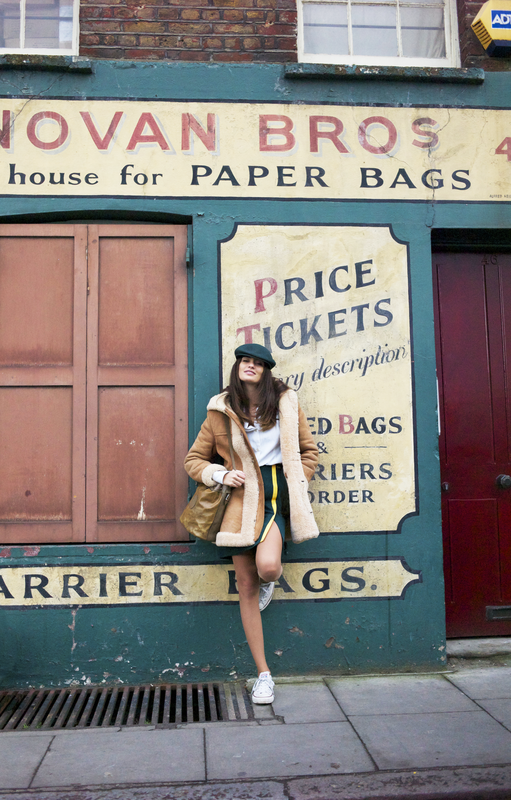 From Spitalfields, which has fun browsing with a market and some old-timey looking groceries and sweet shops, I go on to Brick Lane where most of the vintage and thrift stores are. 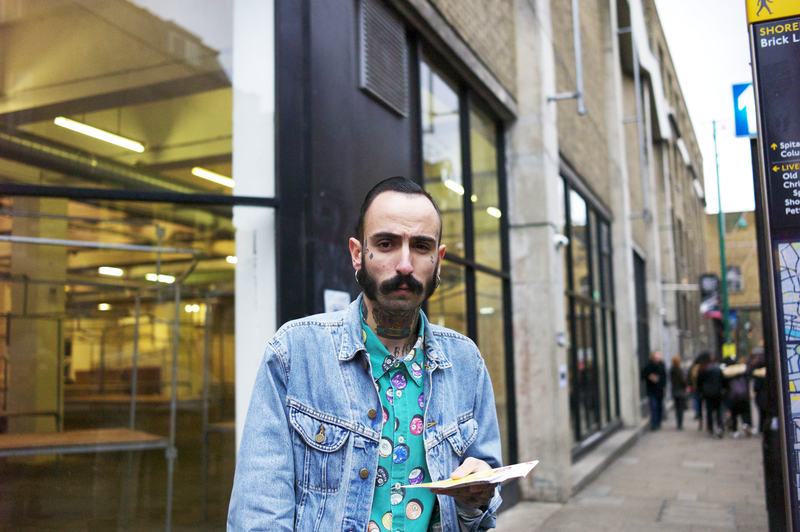 My old Place – Brick Lane has to be one of the most diverse areas of London – so if you have a craving for pretty much anything, you’ll find it here. My absolute, without a shadow of a doubt, could-not-recommend-it-more, most favourite place in London is Szechuan restaurant My Old Place in Liverpool Street. I’ve looked up reviews and to my surprise they’re not as great as I expected. I can only put this down to the fact that the food here is very authentic, so a lot of the options are very spicy and consist of offal and other strange bits of meat. And the service, well, the stuff just comes when it’s ready, so you could just be eating plain rice while your food-less friends stare hungrily at you. You won’t be hungry for long though – the portions are huge, which makes for a nice change in London. The lamb skewers are incredible. 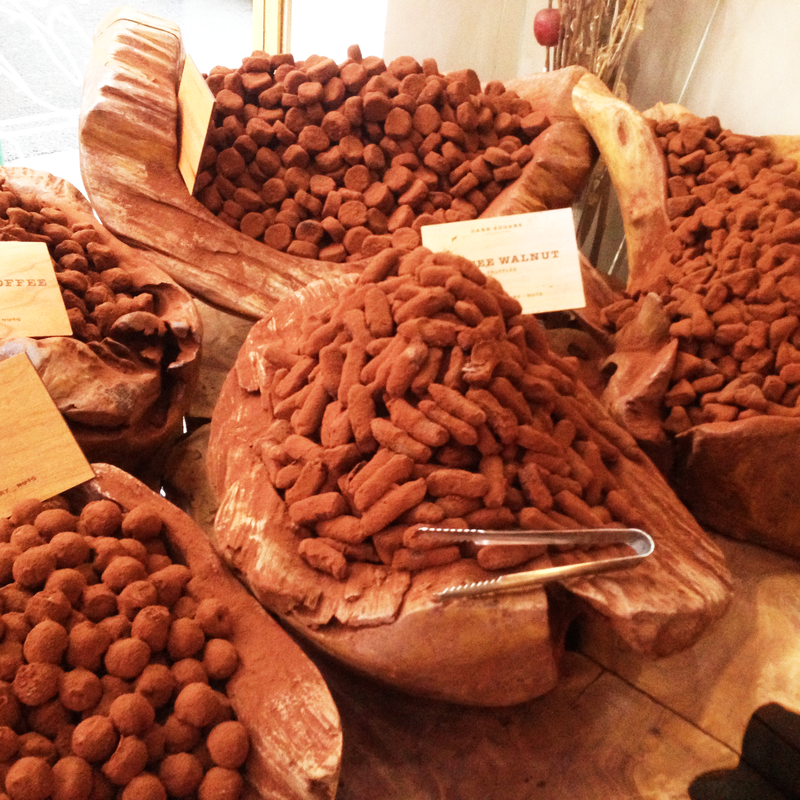 Dark Sugars – That glorious chocolate truffle shop in the last pic. 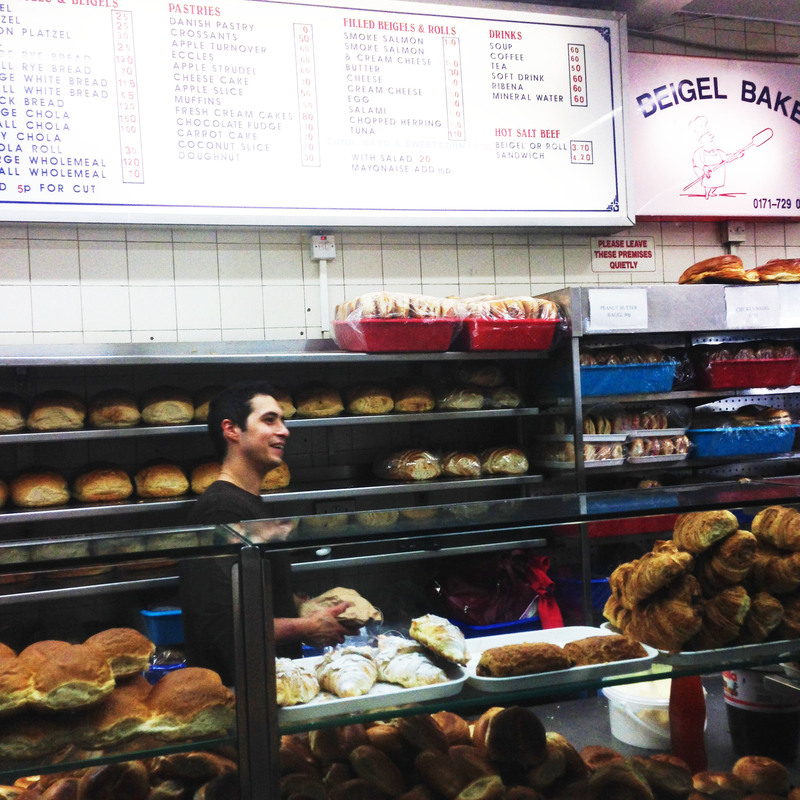 The Beigel Place – A rough and ready Brick Lane institution that makes delicious bagels – try their famous salt beef bagel. Barbican Tandoori – I adore Indian food, and although Brick Lane has the highest concentration of Indian and Bengali restaurants in London, I have to say I’ve never found one here that I really liked (even though each restaurant claims to be the best one in London!) I find that my favourite Indian restaurants I’ve usually just stumbled upon in random places. One of my favourites is Barbican Tandoori, which though totally unglamorous – it’s underground and windowless – has lovely food. Incidentally, the Barbican Centre is also really worth seeing if you’re visiting London. It’s been called London’s biggest eyesore by some but I think its 70’s architecture is beautiful. I may be slightly biased as my boyfriend used to live in a studio flat here (which also had all the original seventies features), but it really is worth visiting the tropical garden and taking a walk down its slightly surreal walkways that make you feel like you’re in some out-dated sci-fi movie. Love the emerald green with this look! Great style and photos girlie. so stunning babe. love your style!